This isn’t the best pic of it, but it was very simple. 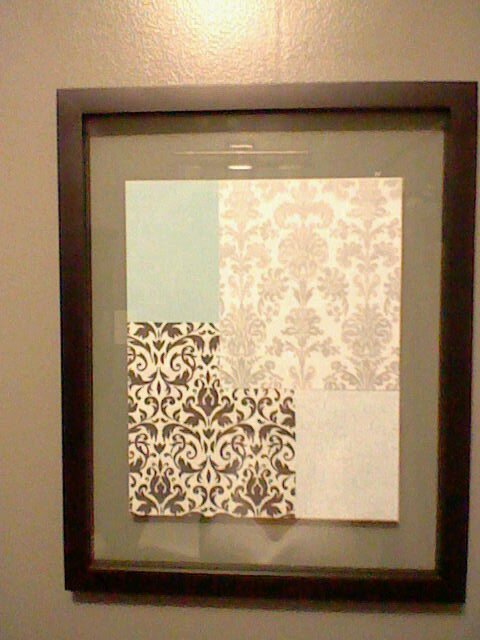 We just found some scrapbook paper that matched the design/colors, cut it to size, and glued it together. Then we found this floating frame, which allows the gray wall color to show through. It doesn’t take up much space, looks neat, and was really inexpensive- so when we decide to change it out, we won’t feel like we’re throwing a lot of money down the drain.